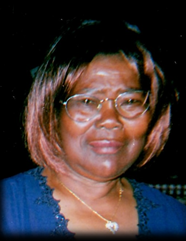 Mrs. Edna Pearl Clegg-Byrd, age 76 of 508 Manning Street, Kinston departed this life Friday April 5, 2019. Funeral service will be held on Sunday, April 14th at 4:00 PM in the Wiseman Mortuary Chapel. Burial: Lafayette Memorial Park West. She leaves to cherish her loving memories: children, Donnel Fuller; siblings, David Clegg, John Marshall Clegg, Betty Wright, Barbara Rodriguez, Brenda Jackson, Pearline Wilson and Francis Lee and a host of loving family and friends. Viewing Sunday, April 14th 1:00 PM to 4:00 PM at the mortuary.